PHOTOS are a memento of our holiday that in a glimpse can transport us back right back to when the photo was captured and the wonderful memory created during that moment. However, not all journey destinations are created equal when it comes to creating remarkable and creative photos. Here we document Abercrombie & Kent's favourite destinations; from journeys incorporating guest photographers to advising on how best to capture the subject, natural beauty such as the splendour of Antarctica, the joyous colour of certain cultures such as in India and Mexico and amazing wildlife experiences to capture in Galapagos. Voted “Best Islands in the World 2010” by Travel & Leisure magazine, the Galapagos archipelago is one of the world’s most stunning and photogenic wildlife destinations. A veritable living laboratory of strange and beautiful creatures, extraordinary landscapes, turquoise blue seas - a special place to be protected and conserved - it is easy to see how Darwin was inspired to write ‘The Origin of Species’ after his visit in the early 19th century. A&K travellers will be similarly inspired by all the photographic opportunities which are revealed by guest photographer Jonathan Green on safaris aboard luxury vessel MV Eclipse in May and August. In addition to the regular naturalist-led shore excursions there are special workshops conducted by Jonathan, educational outings, one-on-one photographic advice and practical tips to get the most out of your camera and for any level of photographer. Surely one of the world’s most photographed continents, Africa through the lens is simply awesome. Difficult as it is to pick just one spot, the world famous Masai Mara has it in spades. This is quintessential Africa where endless plains stretch far into the horizon, where huge herds of zebra, wildebeest and antelope gather on the savannah and predators follow, where a sole acacia tree etched against the setting sun provides a magical snapshot and where striking Maasai tribesmen provide a colourful diversion. This is where the safari originated and should be at the top of every photographers bucket list. Vietnamis one of south-east Asia’s most photogenic countries and it’s a top luxury destination. There’s the spectacular scenery of mountain, beaches and paddy fields, bustling streetscapes, ancient monuments and colourful street markets. Everywhere a smiling obliging face to capture through the lens. 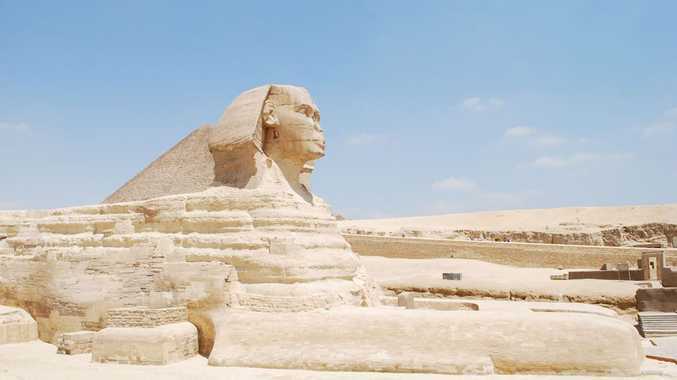 Home to some of the world’s most iconic monuments, Egypt is a picture in itself. 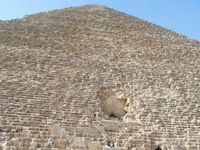 From the stark but dramatic pyramids and Sphinx to the myriad of ancient temples which dot the landscape, the lush palm-lined river banks of the Nile to the colourful chaos of city bazaars and captivating sunsets. There’s a million dollar shot at every turn. Dust, desert, souks and spices. Colourful and exotic, Morocco is home to an assortment of vibrant cultures. Its varied architecture is exquisite and a lure for photographers, the geometric patterns of rich mosaic tiles on walls and floors in the mosques and riads are dazzling and in every souk there are colourful textiles, crafts and mounds of spices and a pulse that’s electric. A visit to India is a visual delight, its colours are dazzling and its sights many. There are fairs and festivals aplenty, dazzling arts and crafts, magnificent historical sites, spice-laden markets, beach temples and dreamy desert forts. Its landscapes too are startling and there’s good chances of seeing tiger in its native habitat. A&K presents a photographic journey accompanied by expert photographer Jon Nicholson who has travelled India extensively, capturing its character and spirituality in his professional capacity. The photographic focus takes place over five days in the holy city of Varanasi where pilgrims gather in their masses on the shores of the river Ganges and there’s time to get under the spiritual skin of the city and capture its essence through the lens. A&K recommends adding a visit to the glistening Taj Mahal at Agra and a chance to spot the majestic tiger in beautiful Ranthambore National Park, alternatively delve deeper into the desert delights of Rajasthan. Full of colour, culture, fascinating sights and some of the most beautiful beaches in the world, Mexico is magic for photography enthusiasts. There are ancient Mayan and Aztec archaeological ruins aplenty, charming colonial architecture in all the colours of the rainbow, dense jungles, beautiful haciendas and colourful markets. A voyage to Antarctica is a true trip of a lifetime. There is no more remote or pristine destination on earth. Its wildlife is abundant and, thanks to the almost total absence of human presence, easy to get close to ensuring exquisite photographic opportunities. Icebound landscapes and rugged scenery also produce dramatic compositions and there’s a specialist photo enrichment coach onboard A&K’s journeys whose 20 year experience in underwater, wildlife and landscape photography enables him to give tips for capturing lasting memories on film or digitally. The cultural delights of our near neighbour Papua New Guinea are many and varied and provide a wealth of subjects for the keen photographer. The landscapes are dramatic and remote, the birdlife brilliantly colourful and village life captivating. A highlight for A&K photographers is the rare chance to attend a traditional ‘sing sing’ where women dress in straw skirts and wear jewellery made of shells and coloured feathers, men energetically beat kudu drums and there’s gentle chanting and joyous dance - an unforgettable experience!